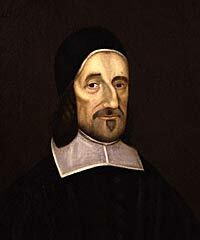 We give you thanks, most gracious God, for the devoted witness of Richard Baxter, who out of love for you followed his conscience at cost to himself, and at all times rejoiced to sing your praises in word and deed; and we pray that our lives, like his, may be welltuned to sing the songs of love, and all our days be filled with praise of Jesus Christ our Lord; who with you and the Holy Spirit lives and reigns, one God, now and for ever. Richard Baxter (12 November 1615 - 8 December 1691) was an English Puritan church leader, theologian and controversialist, called by Dean Stanley "the chief of English Protestant Schoolmen". After some false starts, he made his reputation by his ministry at Kidderminster, and at around the same time began a long and prolific career as theological writer. After the Restoration he refused preferment [i. e., an appointment within the Church of England], while retaining a non-separatist presbyterian approach, and became one of the most influential leaders of the nonconformists, spending time in prison. His ministry at Kidderminster continued, with many interruptions, for about nineteen years; and during that time he accomplished many reforms. He formed the ministers in the country around him into an association, uniting them irrespective of their differences as Presbyterians, Episcopalians and Independents. The Reformed Pastor was a book which Baxter published in relation to the general ministerial efforts he promoted. On the outbreak of the English Civil War, Baxter blamed both parties and recommended the Protestation, an attempt to avert civil war. In 1647, Baxter was staying at the home of Lady Rouse, wife of Sir Thomas Rouse, 1st Baronet, of Rouse Lench in Warwickshire. There, though debilated by illness, he wrote the most of a major work, The Saints' Everlasting Rest (1650). After the Restoration in 1660 Baxter, who had helped to bring about that event, settled in London. He preached there till the Act of Uniformity 1662 took effect, and looked for such terms of comprehension as would have permitted the moderate dissenters with whom he acted to have remained in the Church of England. In this hope he was sadly disappointed. The Savoy conference [which formed the basis of the 1662 BCP] resulted in Baxter's Reformed Liturgy, though it was cast aside without consideration. From 1662 until the indulgence of 1687, Baxter's life was constantly disturbed by persecution of one kind or another. Baxter's health had grown even worse, yet this was the period of his greatest activity as a writer. He wrote 168 or so separate works -- such treatises as the Christian Directory, the Methodus Theologiae Christianae, and the Catholic Theology, might each have represented the life's work of an ordinary man. Without doubt, however, his most famous and enduring contribution to Christian literature was a devotional work published in 1658 under the title Call to the Unconverted to Turn and Live. This slim volume was credited with the conversion of thousands and formed one of the core extra-biblical texts of evangelicalism until at least the middle of the nineteenth century.